Rockstar’s announcement that they would be supporting the Nintendo Switch took many by surprise. Aside from the occasional cameo such as Rockstar Table Tennis and Manhunt 2, the publisher has been notably absent on Nintendo platforms. Even more surprising is the fact that their first title will be a port of Team Bondi’s troubled LA Noire, one of the lower key Rockstar-published titles to say the least. So? Does the game still stand up nearly 7 years later? 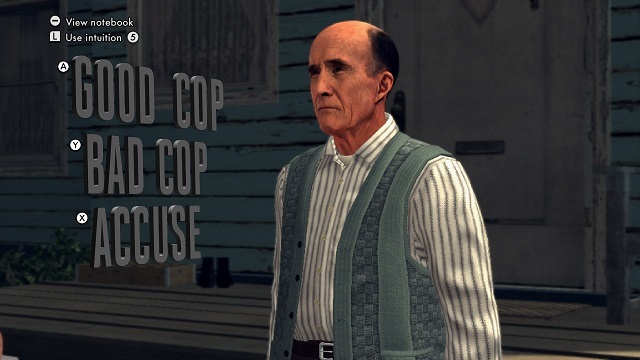 It would be an understatement to say that L.A. Noire had a rocky development. First announced at E3 2005 as a Sony-published PlayStation 3 exclusive. It was constantly delayed amidst accusations of poor project management. Publishing rights soon switched over to Rockstar who a subsequently switched the title to a multiplatform release. 6 years after the initial announcement L.A. Noire finally shipped to generally positive acclaim but somehow failed to make it bigtime. The chance to revisit this title years later shows how unfairly treated the game was upon its first release. 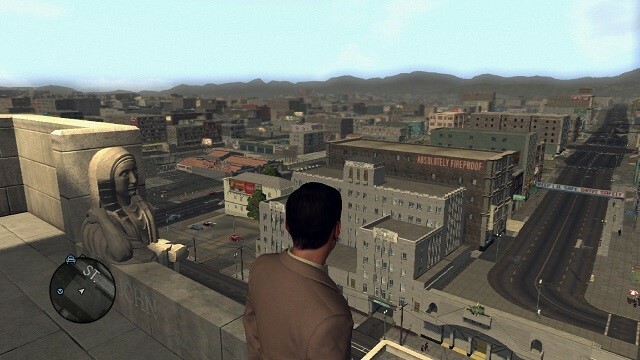 Set in 1947 Los Angeles, you play as Cole Phelps. Phelps is a decorated hero from the Second World War who joins the LAPD. With a burning desire to be a good, thorough cop determined to get to the truth of cases, Phelps finds himself at odds with a police department full of crooked cops and a hierarchy obsessed with simply getting cases closed quickly and creating a rosy image for the public. The basic gameplay will be familiar to those who have played Rockstar’s flagship Grand Theft Auto series. You’re given a whole city to explore, carry out missions that aid you in gradually exploring that world. In this city you are free to steal any vehicle you come across (or in this case, ‘borrow’ for police business). The key difference from Grand Theft Auto is the role reversal – rather than committing crimes and running from the cops, you’re solving crimes and chasing down criminals. It’s somewhat telling that there is little difference between these two roles in practice, although the game does reward players for driving carefully and not running people over. The main feature that sets L.A. Noire out from other Rockstar games is its much-maligned interrogation system. The Player must interview most characters in the game in order to gather enough evidence and information for their cases. The challenge lies in giving the correct responses to coax the information from your interviewees. After observing the facial expressions you must choose from 3 options – truth, doubt or accuse. Unfortunately, the responses given by Phelps often do not fully match these descriptions. In particularly the ‘doubt’ responses are often bizarrely aggressive. The first two of these options have been renamed ‘good cop’ and ‘bad cop’ in this re-release, but this does little to solve the problem. There is also a suspicion that you’re supposed to choose the answer preferred by the developers rather than the one that seems most logical. This sometimes makes interviewing a stressful task of praying you happen to select the correct responses. Frankly, players should consider using a walkthrough to avoid the dread of going through the interviews. It’s a decent concept that Team Bondi put a huge amount of effort into. However, even the use of their in-house MotionScan technology to capture real-life facial expressions couldn’t save the whole process from being too vague to be enjoyable. Despite this, the game itself is hugely enjoyable even all these years later. The setting is compelling and the world really quite a joy to behold. 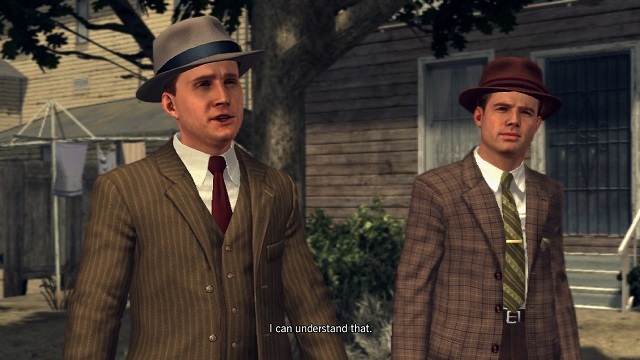 Cole Phelps himself is an intriguing character whom the player wants to learn more about. His desire to solve cases properly despite pressure from above will see players rooting for him to do well. One of the positive outcomes of Team Bondi’s efforts with their interviewing concept is that the voice acting is consistently excellent. It would not be an exaggeration to say that the voice acting here is perhaps the finest work in any video game. Even minor character who only appear once never miss a beat and this really helps create a convincing world with real characters. Many of those characters far more relatable than the inherently-detestable characters found in Grand Theft Auto V. The interview responses may be ‘unpredictable’ to say the least, but the delivery is still first class. For this reviewer’s money, solving cases as an honest cop is simply more fun than committing crimes as a criminal, with all the cases providing more depth and intrigue than the average Grand Theft Auto mission. Perhaps the only other real flaw with the game is how the cases are rolled out to the players. Phelps starts in the Traffic department of the LAPD investigating car thefts before being promoted to the Homicide department, solving drug-related cases in Administrative Vice before finding himself looking into arson cases. Team Bondi have clearly tried to provide a logical progression through the police department, but in reality it means they players tackle the same kind of cases in quick successes – plenty of overly-similar car theft cases, near-identical murder cases and so forth. This isn’t so much a problem with the cases themselves, more a structural flaw in the game resulting in players tackling them same kind of cases so frequently. It’s clear what Team Bondi we’re trying to do, but it’s surprisingly that Rockstar themselves didn’t pick the flaw. Most of the cases are compelling enough that it shouldn’t be a big issue, but is a common complaint among even the game’s biggest fans. The Switch port itself is illuminating because it highlights the weaknesses of the Switch itself. The game largely looks similar to the original PS3 game sharing many of the same assets while throwing in textures and newer assets from the PS4 release for good measure. Shadows are improved and it features its own implementation of ambient occlusion. It improves over the original further by running at a dynamic 1920×1080 while docked and 1280×720 while portable. The big drawback however is the draw distance, which is paired back significant, regardless of whether in docked or portable mode. A similar cutback was used in Iron Galaxy Studio’s excellent port of Skyrim to the Switch, but the effect of the closer draw distance is much more visible here as lower quality building assets are replaced by higher quality ones much closer to the player. The fact that the porting team at Virtuos decided to stick with a higher resolution despite this would imply that the CPU is the bottleneck here rather than the GPU. Indeed, there is far more going on in the city at any one time then that comparatively-static terrains of Skyrim. 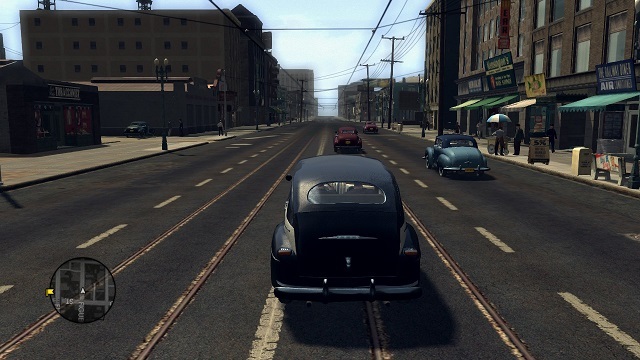 L.A. Noire aims for 30fps and hits this most of the time, dipping below only during more taxing scenes as the game progresses. However, the Switch port opts to slow the game itself down rather than dropping frames. This means the game can feel like the character is running through treacle at times. What we’re left with however is a decent port of a very good game. 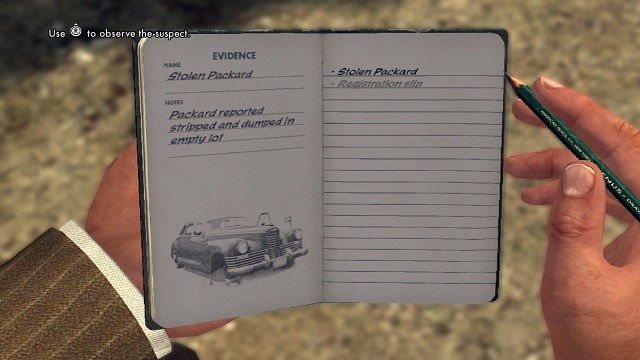 It’s clear that LA Noire was grossly underappreciated at the time. It’s notable flaws never detracting too much from what is one of Rockstar’s most compelling games. For those who missed L.A. Noire the first time around, this is the perfect time to experience Team Bondi’s trip back to 1947. 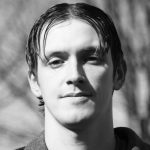 Video game enthusiast from the 80s to today, with a passion for writing about video games and hardware both past and present. Avid Sega fan with an obsession for vintage gaming hardware.